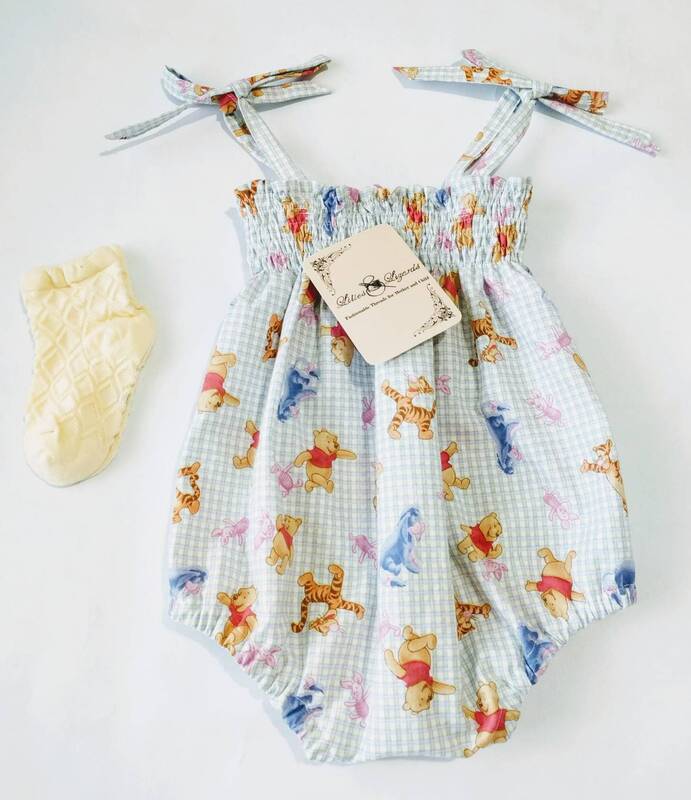 Classic Winnie the Pooh and Friends, shirred, shoulder tie summer romper with elastic leg openings and snap closure for easy diaper changes. Soft cotton, prewashed to avoid garment shrinkage. 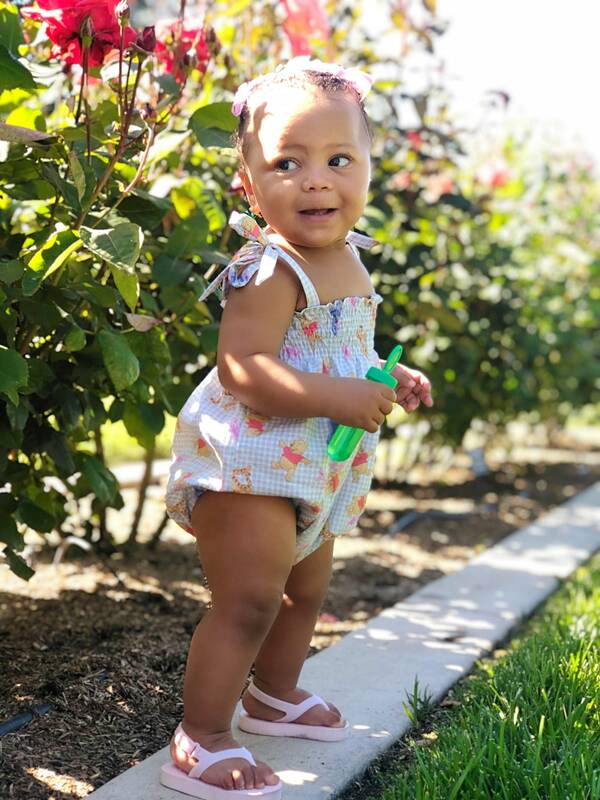 Professionally constructed and a comfortable fit for baby! I came to LiliesandLizards at the last minute after having an issue with another seller. They were extremely helpful and understanding of the situation I was in. 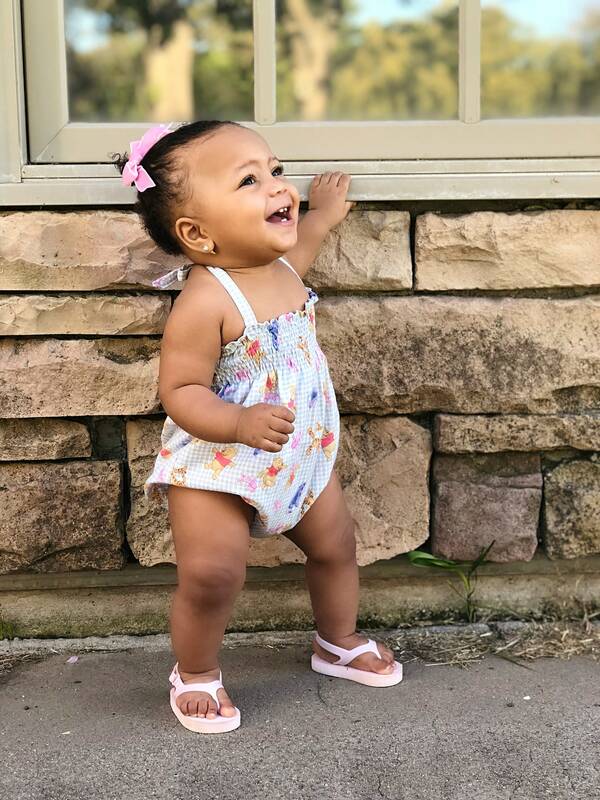 I got the romper just in time for my daughter's 1st birthday and it was absolutely beautiful, exactly like the picture!